The Bovada online casino is your best option if you are an American. Note, if you are living in Nevada, New Jersey, New York or Maryland, then you won't be able to play here. Your best option would be to play at the Betonline.ag Casino if you are from these states. Whether you are a Windows desktop, on a Mac or on a mobile device, the Bovada Casino is probably the most well known and most reputable option for you. It is the most popular online casino that is still serving the U.S., it is the casino with the highest betting limits, it has the best poker room and the best casino with live dealers. There is a great selection of twenty-six table games, a two-hundred and eleven online slots and seventeen different variations of video poker games to choose from. Most of the games can be played with their regular casino bonus which will reward you with 100% match bonus up to $1000 and can be used three times. With your first three deposits, you could claim up to $3000 in casino bonuses at the Bovada Casino. Just make a deposit, claim your bonus code and you will have 100% added to your account within a short period of time. There are also deposit promotions that can be used at the sportsbook. Overall, the Bovada website is one of the safest and diverse online gambling destinations for U.S. casino players. There is also a Mac compatible casino at the Bovada website, which is rare in the U.S. market. You can get a deposit bonus with your first three deposits at the Bovada Casino. You will be able to claim a bonus equal to 100% of your deposit up to a maximum of $1000 up to three times. If you will be depositing via Bitcoin, you can get a bonus that is equal to 150% of your deposit up to a $1500 bonus. This bonus can also be claimed three times, for a total of $4500 in bonuses on $3000 worth of deposits. To keep things simple, we will stick to providing the details for the Bitcoin enhanced casino bonus. First to get the maximum bonus you will need to deposit $1000 or more via Bitcoins and use the bonus code "BVCBITCOIN150" (please check out the Bovada website to ensure that this is the current code). This will give you a $1500 bonus. To clear your bonus, you will need to play through twenty-five times the bonus plus your deposit before you make a withdrawal. Some casino games will have their play discounted due to their low house edge. Play at Craps and any live dealer game will not count towards the gaming requirements and you may not use your bonus funds at the live dealer tables. Slots machines and specialty games of all types will count 100% towards your playing requirements. Play at all other casino games will be at a discount rate including, table games at 20%, video poker at 10% and blackjack at 10%. Single deck, double deck Blackjack, Roulette and Baccarat will be discounted to 5%. Again, it is important to remember that play at Craps and any live dealer table will not count at all towards your play through requirements. There are many online slot games (211) at the Bovada Casino including twenty-one i-Slots, ten 3D slot machines, twenty-two video slots, forty-nine five-reel slot machines, one-hundred and twenty-eight three-reels slot machines, sixteen Reel Series slots, forty-eight progressive slots and one-hundred and eighteen rival slot machines. 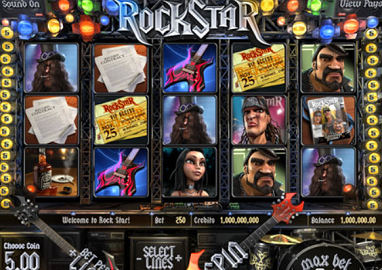 Some of the more popular slot machines here include; 2 Million BC, Gladiator, Mr. Vegas, Rockstar and The Slot Father. The betting limits range from $0.01 to $100 for the slots here, with a high pay-out percentage. There is almost always a $100,000+ winner for a progressive jackpot every month here, and many of the progressives are played at the slot machines. There are seventeen different variations of video poker here. You can play 1, 3, 10 or even 52 video poker hands at the same time. In video poker the minimum and maximum bets are $0.05 and $260. Video Poker is one of the many games that are eligible for the other casino games deposit bonus. There is a good selection of table games, with twenty-six different games here. Most of the games can be played with the bonus except for Craps and any live dealer table. To clear the bonus at the table games, your game play will be discounted. For the most part, the lower the house edge, the more you will have to play. Roulette, Single and Double Deck Blackjack, Baccarat and Sic Bo. The betting range is $1 - $1000 for Craps, $1 - $500 for Pai Gow Poker, Caribbean Stud Poker, Let them ride and Three Card Poker. Most of the other table games have a minimum wager of $1 and a maximum wager of $250. Some of the Blackjack variations can be played with a deposit bonus. You can wager as little as a $1 per hand or play for $500 a hand at the Blackjack tables in the Bovada online casino. The $500 maximum bet is the highest among all the USA friendly Internet casinos. Bovada is by far the best casino in the U.S. market for playing table games with a live dealer. At the live dealer tables, you can bet on five different casino games. With live dealers you can wager $10 to $2500 on blackjack, $5 to $2500 on blackjack with early pay-out, $5 to $2500 on baccarat, $1 to $3000 on American roulette, $1 to $3000 on European roulette and $5 to $2500 on super 6. Just like a brick and mortar casino, all the live dealer tables will have a fun and friendly dealer to interact with. 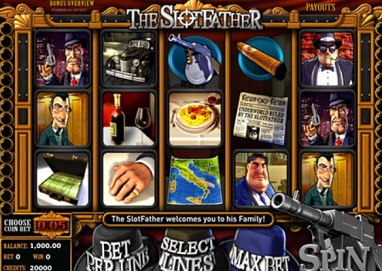 The lobby is easy to navigate, you can find the type of casino game you are looking for by clicking the game tabs. The games run smoothly and have clean graphics. The casino runs on their own software which features a variety of casino games including the casino games that run on the Real Time Gaming software, Rival and i-Slots. Financial security of an online casino is one the most important things to think about when selecting an Internet casino. The Bovada online casino is one of the safest and secure Internet casinos. Your funds and information will be protected by a high security fire wall. Withdrawals usually run smoothly, but occasionally you may have to wait a short while to get paid. No one has been refused a legitimate payment from the Bovada group.